A Cavendish Kitchen To Remember! 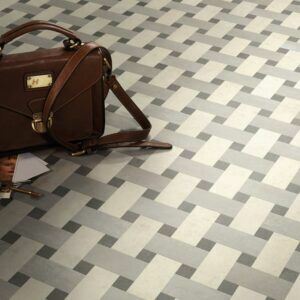 Have you ever thought about considering an alternative flooring to tiles? 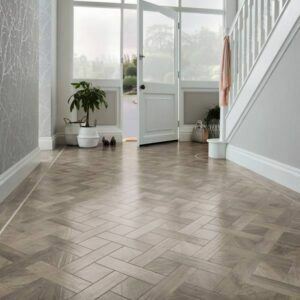 At Cavendish, we supply Karndean luxury flooring. Within our Benton showroom we have our own Karndean design studio, displaying a diverse range of realistic wood and stone designs. The ranges offer cutting edge designs to create beautiful floors that you will adore for a lifetime. Excellent quality and durable, stands up to the impact of everyday life. Multiple versatile ranges available; something to suit everyone’s taste and style. You can add strips and borders to make the design extra striking and unique to your home. Amazing wood and stone effect ranges. Fitted by qualified Karndean fitters. Each range comes with its own individual guarantee. Easy to clean and to maintain. All Karndean flooring is prepared with a K-Guard+ surface technology for scuff and stain resistance. Waterproof; won’t swell, crack or warp when wet. Softer and warmer on your feet. Quiet compared to most hard floor alternatives. All Karndean products are 100% recyclable and environmentally friendly. Hygienic; Karndean flooring does not hold dust, dirt, pollen or allergens, unlike carpets. If you are looking for a completely different and unique design, take a look at Karndean’s Kaleidoscope range, that we now supply at Cavendish. It displays a wide range of shapes and patterns including cubes, hexagons and woven designs. This flooring provides a 3D visual design, creating a truly striking interior; ideal for making your floor the focal point in larger rooms! 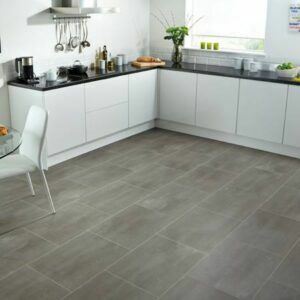 Karndean is adaptable to any room in your home and the same design can even be used through-out! There are so many options available to make it unique to you!